More and more, ecommerce is becoming a part of our everyday lives. We buy things from all kinds of merchants online from Amazon to mom-and-pop-type stores; these transactions are subject to hackers that want to obtain our sensitive information and steal our identity. But, there's a solution right at hand, or, right IN hand. When we purchase something online, we need to provide personal data to complete the transaction. Any time data is exchanged and / or stored, the chance for compromise is increased, and the more sensitive the data, the higher the chance of getting your identity stolen. 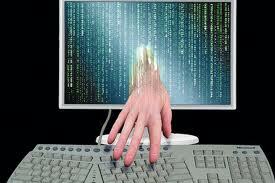 Thus, the less personal the information, the less risk of identity theft, which has hit one in four Americans. Providing data not linked to your name, social security number, or bank account will mitigate this risk. Getting your identity back is time consuming and expensive. When you make a mobile payment you're making a payment with a minimum of data: you're simply using your cell phone number. The purchase appears on your phone bill. Many times people will make micropurchases, those that are under $10, online. Why compromise your security and your identity for a few bucks? Mobile payments are the only way to go when it comes to making small purchases. Absence of exploitable data; all they have is a phone number. Phone numbers are considered anonymous; the hacker cannot connect your phone number to your social secruity number or your bank account. Even if the hacker tries to get your information, the database is as well guarded as any other; if they do manage to get through, the risk of stealing your identity is marginal. Mobile payment providers don't request much data, so they don't have much data. Additionally, what little data they have is forwarded to your phone carrier for processing, making for another level to hack. Anytime you make a mobile payment, it requires your authorization, which means access to your phone itself. If you make a payment with a credit card, you don't need the physical card to do so. So right now the phone number-based or text message-based mobile payments have worked great for donations to charities and causes like the Red Cross and for checking out on websites. But what about at local stores? This is the realized dream of being able to cut up your credit and debit cards and just being able to wave your phone at a retailer. Sweden and Japan have had this for years, but we in the US are finally catching up and over the course of the next two years you'll see this method of payment really catching on. The carriers (AT&T, Verizon, Sprint), device makers (HTC, Samsun, Research In Motion) and the mobile operating system makers (Google, Apple) are all working to make this into their next phones this year. You might be worried about paying wirelessly through the air, and you can rest assured that security is by far the biggest drive for these companies. After all, it is up to them to convince you that this is a safe way to pay. They say they've worked hard to ensure the transmission uses strong cryptography and authentication protocols. And, one company, DeviceFidelity, who is a partner with ISIS (the AT&T, T-Mobile and Verizon initiative), is claiming their system is unreadable and unclonable. Now those are strong claims, but credit cards definitely cannot come close to saying that. So, how do you now feel about using your mobile phone to make a payment? Newer:How To Get Your Life BackOlder:You're Broke, But Is Debt Consolidation For You?